Ede Teller Edward Teller was born in Budapest, Austria-Hungary, January 15, 1908, the Jewish scientist was then living in the U.S. since 1935. At that time, he escaped from the Nazis in Europe. Teller has been working on the Manhattan Project at Los Alamos, New Mexico (1943-1946). The project was successfully pursuing the development of the atomic bomb. The bombs were then dropped on Hiroshima and Nagasaki that to this day there is no longer a nuclear bomb used by humans after that. Teller studied physics at Leipzig University, Germany. He worked as a physicist at the Los Alamos Scientific Laboratory during World War II. Teller also helped set diarahkannnya laboratory for more than two years in the 1950s. He then became an assistant director of physics until his retirement in 1977. In 1939, Teller was one of three scientists who encouraged Albert Einstein to alert President Franklin D. Roosevelt that the power of nuclear fission-fragment an atomic nucleus-could be used to form a devastating new weapon. In 1941, before the first atomic bomb was born, a scientist colleague, Enrico Fermi, argues that nuclear fusion could be more awesome. The idea was developed Teller. He went on to make a bomb like that, so managed to get the title of "father of the hydrogen bomb". However, reportedly, she hates the term. Magnitude megaton hydrogen bomb (million tonnes) was first detonated in 1952, although no one ever used in war. As a comparison, the bomb that was dropped on Hiroshima and Nagasaki weighing only a dozen kilotons. Teller is an advisory firm for applied science, in addition to one of the most influential technology leaders in national defense since World War II until today. His advice was also very influential in the strategic defense initiative missile system dubbed the "Star Wars". Teller received many awards in her long career, including the Albert Einstein Award, the Enrico Fermi Award and the National Medal of Science. Earlier this year, the man born in Budapest, Hungary, was awarded the Presidential Freedom Medal, the highest award in the U.S.. He was not able to attend a special ceremony in Washington led by President George W. Bush was. Therefore, the award received his daughter, Wendy. In life, professor of physics at the University of California is staying with Paul (son), Wendy (his daughter), four grandchildren, and one great-grandson. 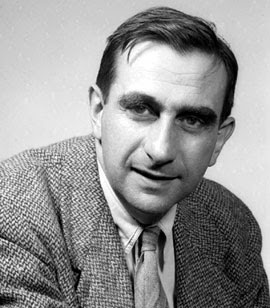 Dr Edward Teller role is very strategic in U.S. weapons strategy, starting the atomic bomb during World War II to the draft during President Reagan's Star Wars. With Einstein, he was "aware" of President Roosevelt against nuclear power. In the last years of his life he was widely known for its controversial recommendation technology solutions in civil and military issues, including the planned excavation artificial harbor in Alaska using thermonuclear explosives. Experts "doomsday bomb" that gave a stroke which attacked a few days ago. Teller died on 9 September 2003 at the age of 95 years at his home on the Stanford University Campus, California.